Published together for the first time, and including a brand-new adventure, the complete Jack Reacher short story collection. 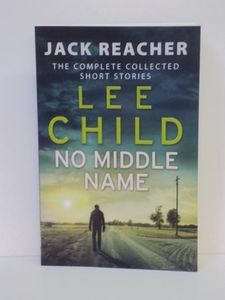 Jack ‘No Middle Name’ Reacher, lone wolf, knight errant, ex-military cop, lover of women, scourge of the wicked and righter of wrongs, is the most iconic hero of our age. A new Reacher novella, Too Much Time, is included, as are those previously only published in ebook form: Second Son, Deep Down, High Heat, Not a Drill and Small Wars; and so is every Reacher short story that Child has written so far. Read together, they shed new light on Reacher’s past, illuminating how he grew up and developed into the wandering avenger who has captured the imagination of millions around the world. It’s 1911. Chief Investigator Isaac Bell of the Van Dorn Detective Agency has had many extraordinary cases before. But none quite like this. Hired to find a young woman who has run away from home, Bell is shocked when instead he discovers that the pretty young actress has been brutally murdered. Vowing to bring her killer to justice, he begins a manhunt which leads him to a chilling conclusion: that she was not the only victim – in cities across America young women sharing the same physical characteristics have been slain. Lorna Belling, desperate to escape the marriage from hell, falls for the charms of a man who promises her the earth. But, as Lorna soon finds, life seldom follows the plans you’ve made. A chance photograph on a client’s mobile phone changes everything for her. When the body of a woman is found in a bath in Brighton, Detective Superintendent Roy Grace is called to the scene. At first it looks an open-and-shut case with a clear prime suspect. Then other scenarious begin to present themselves, each of them tantalizingly plausible, until, in a sudden turn of events, and to his utter disbelief, the case turns more sinister than Grace could ever have imagined. A toxic marriage a web of lies who can you trust? Rachel’s husband adores her. When she hit rock bottom, he was there with her every step of the way as she slowly regained her confidence and her sanity. But his mysterious behaviour forces her to probe for the truth about her beloved husband. How can she feel certain that she ever knew him? And was she right to ever trust him? She closed her eyes and saw, as if on a loop, a repeating backdrop of square windows, blue sky and concrete spinning and passing, passing, passing. She could not escape the horror of it: falling unstoppably, irretrievably until the hard concrete reaches up. That last glimpse of them at the edge. 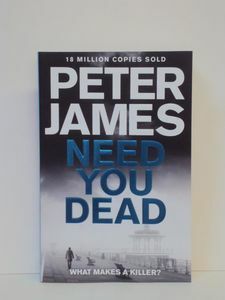 A long-serving beat cop in the Met and a teenage girl fall to their deaths from a tower block in London’s East End. Left alive on the roof are a five-year-old boy and rookie police officer Lizzie Griffiths. Within hours, Lizzie Griffiths has disappeared, and DS Sarah Collins sets out to uncover the truth around the grisly deaths, in an investigation which takes her into the dark heart of policing in London. 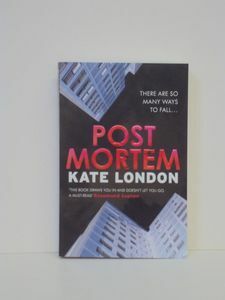 Kate London worked as a police officer for eight years, ending her career in the Metropolitan police services’ Homicide division in 2014. Post Mortem is her first novel. 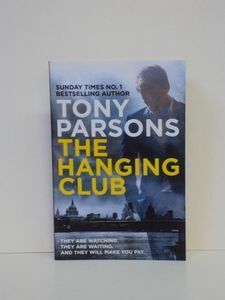 A band of vigilante executionars roam London’s hot summer nights, abducing evil men and handing them until dead. The gang member who abused vulnerable girls, The wealthy drunk driver who mowed down a child. The hate preacher calling for the murder of British soldiers. For the men of the town, Blackball is the daily hardship of working the mine. For the women, it’s the dismal cottages with the piles of coal outside. Yet for Pansy, Otto and Clem, children of Blackball, it’s the treasure of the creek and bush and the richness of the friendship which binds them together. But as Pansy soon realises, ‘grown up is serious’ and past promises cannot be kept. 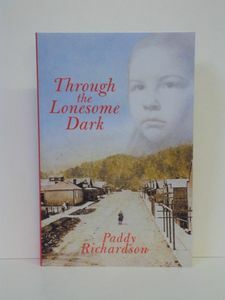 Set in the times surrounding the Great War,Through the Lonesome Dark confronts and questions the loyalties demanded by family, friendship and love – both at home and amongst the ravages of war – and the hope of finding your way back. Lucy is recoverng from an operation in a New York hospital when she wakes to find her estranged mother sitting by her bed. They have not seen each other in years. 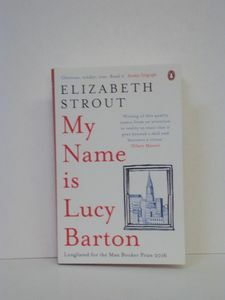 As they talk, Lucy finds herself recalling her troubled rural childhood and how it was she eventually ended up in the big city, got married and had children. 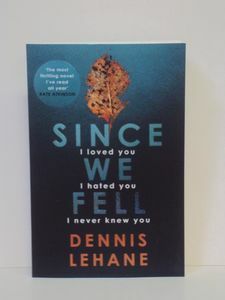 But this unexpected visit leaves her doubting the life she’s made: wondering what is lost and what has yet to be found. 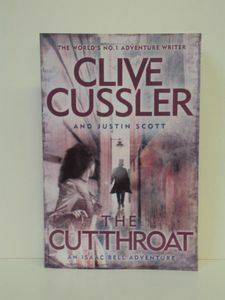 Agatha Christie, in London to visit her literary agent, is on the station platform, preoccupied with the devastating knowledge that her husband Archie is having an affair. There’s a light touch on her back, causing her to lose balance, then someone pulls her to safety from the oncoming train. The details of Agatha Christie’s sudden disappearance in the winter of 1926 remain unknown. What actually happened to her in those ten days? 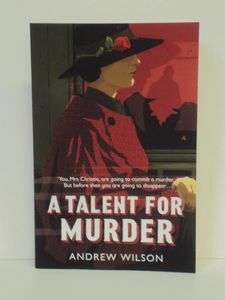 In his tantalising new novel, Andrew Wilson weaves an utterly compelling and convincing story about this still unsolved mystery involving the world’s bestselling novelist. Standing outside the FBI Headquarters in Washington DC, Dabney shoots school teacher Anne Berkshire in cold blood before turning the gun on himself. One of the many witnesses is Amos Decker: a man who forgets nothing and sees what most miss. Baffled by what appears to be a seemingly senseless and random killing. Decker is thrust into the investigation to determine what drove this family man to pull the trigger. As part of an FBI special task force. Decker and the team delve into the lives of Dabney and Berkshire to find a connection that doesn’t seem to exist. 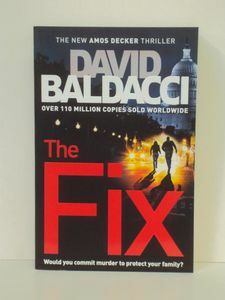 What they do find are secrets that stretch back a lifetime and reveal a current plot of impending destruction that will send the world reeling, placing Decker and his team squarely in the crosshairs.